How Important are Fish Sounds for Feeding, Contests, and Reproduction? Many animals are vocal and produce communication sounds during social behaviour. 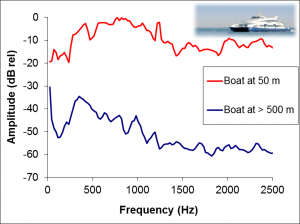 These acoustic signals can help gain access to limited resources like food or mates, or to win a fight. Despite vocal communication being widespread among fishes, our knowledge of what influence fish sounds have on reproduction and survival lags considerably behind that for terrestrial animals. In this work, we studied how fish acoustic signals may confer an advantage in gaining access to food and mates, and how they can influence reproduction outcomes. Triglid fish feed in groups and we found that those that grunt or growl while approaching food are more likely to feed than silent conspecifics. Because fish emit sounds during aggressive exhibitions just before grasping food, our results suggest that uttering sounds may help to deter other fish from gaining access to disputed food items. 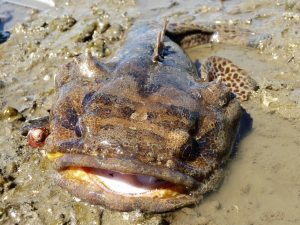 Lusitanian toadfish males nest under rocks and crevices in shallow water and emit an advertising call that sounds like a boat whistle to attract females. Receptive females lay their eggs in the nest and leave the male to provide parental care. We found that vocal activity of male toadfish advertises their body condition. 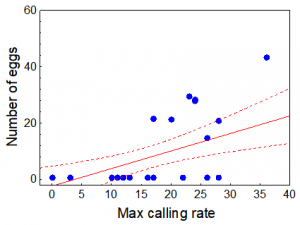 Males that call more often and for longer bouts are more likely to entice females into their nest to spawn, thereby enjoying a higher reproductive success. Figure 2. 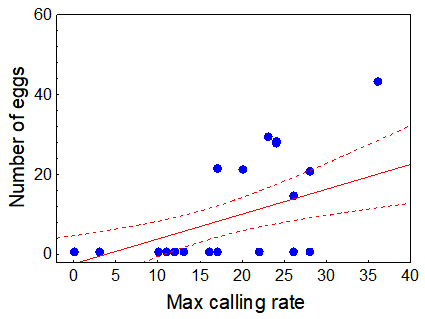 In the Lusitanian toadfish (a) maximum calling rate is related with reproductive success measured as the number of obtained eggs (b). Credit: Amorim/MCP). The codfish family contains many vocal species. 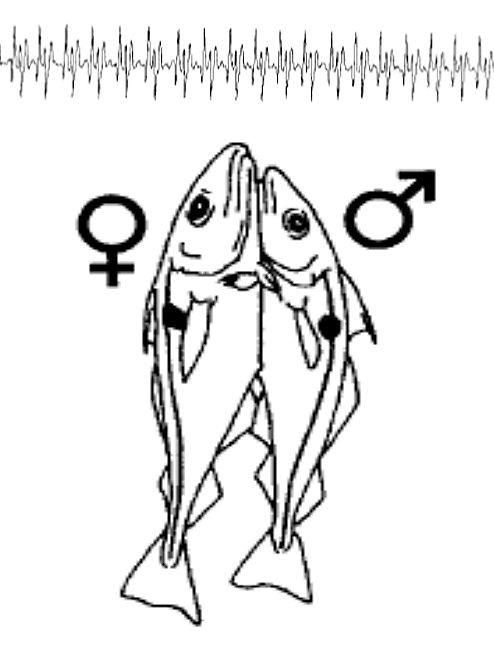 During the spawning season, male haddock produce short series of slowly repeated knocks that become longer and faster as courtship proceeds. The fastest sounds are heard as a continuous humming. An increase in knock production rate culminates in a mating embrace, that then results in simultaneous egg and sperm release. 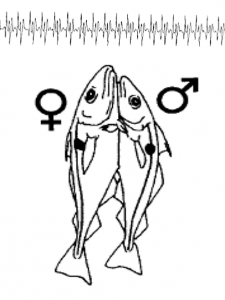 This suggests that male haddock sounds serve to bring male and female fish together in the same part of the ocean, and to synchronise their reproductive behaviour, therefore maximizing external fertilization. This set of studies highlight the importance of fish sounds for key fitness related traits, such as competitive feeding, the choice of mates, and the synchronization of reproductive activities. In the face of future global change scenarios predicted for Earth’s marine ecosystems, there is an urgent demand to better understand the importance of acoustic communication for fish survival and fitness. 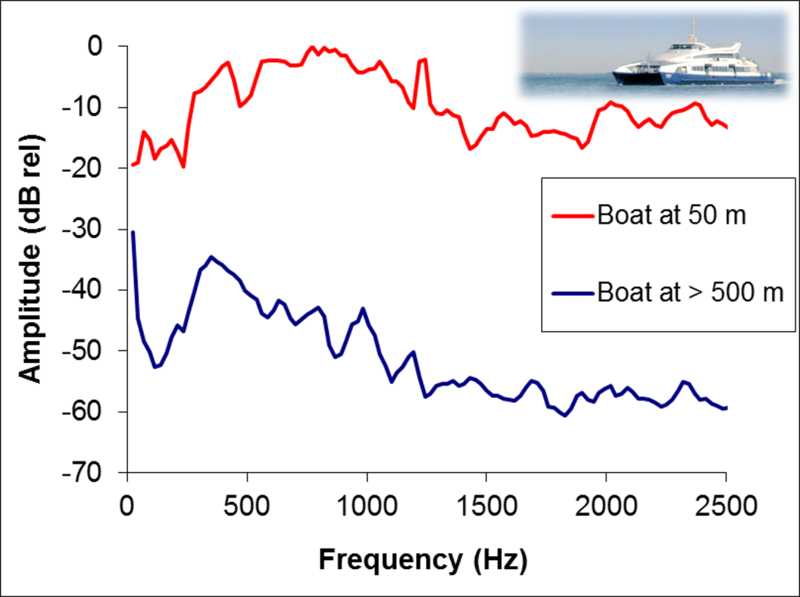 Anthropogenic noise, for example, is increasingly changing the natural acoustic environment that have shaped fish acoustic signals and there is still very little knowledge on its impact on fishes.